All kinds of things have been used as money – shells, salt, clay tablets, and to that list we can now add tweets. Using the hashtag punkmoney, Eli Gothill hatched the idea of issuing promisory notes on twitter and exchanging them as a primitive form of e-currency. To create money, you simply tweet the person your promise, whether that’s for a beer or a book or an hour of your time, including #punkmoney so that it can be tracked. When it is redeemed, a second tweet cancels it. It can also be transferred. You can see how it works on punkmoney.org, or read about it in the latest issue of Stir magazine. The Bank of England will rest easy if it ever finds out about this, needless to say. If you look it up on twitter, you’ll find more people like me talking about what a good idea it is than people actually using it. Really, it’s a fun little idea that you might want to use between friends, but it’s worth mentioning because it demonstrates a couple of good points to remember about money. First, it’s a reminder that currency is simply an agreed mechanism of exchange, and if you all agree, you can exchange anything you like. Second, different kinds of money can co-exist alongside each other, and that’s healthy. Like any ecosystem, diversity is good, and it’s practically impossible to create a currency that can do everything – see the Eurozone for details. The Euro has been designed to optimise trading in Europe. It does that fine, but it is failing the citizens of individual countries such as Spain or Greece. For money to work for us, there ought to be different levels for different things, starting with an international reserve currency. There have been various suggestions over the decades and it’s never quite developed, largely because the dollar holds that role at the moment and America likes it that way. But China wants it, and as the next global superpower it’s only a matter of time before they get it. Beneath that you have large regional currencies such as the Euro, and the mixed results of the Euro should not deter other regions from experimenting here. A trading currency designed at encouraging trade between African countries could be very beneficial, for example. There are discussions underway at the moment to recreate the East African Shilling. Then come national currencies, which we all know about, and provincial ones. Not everyone would need these smaller regional currencies. Some places would no doubt continue to use the national currency, but if something different would work better, it could be created. You could make a good case for a complementary currency within Wales or the Northeast of England, designed at stimulating small business-led regeneration. 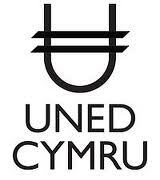 A currency for Wales has been proposed and discussed, although I don’t know if there’s been any progress on Uned Cymru recently. Beneath provincial currencies comes local money, which already exists in places like Bristol, Stroud, and Brixton. This keeps money circulating within the town, encouraging loyalty to local shops. And if you want to add one further layer, you could even create a household currency with beans or buttons for chores, and use it to teach your children about money. The key is that each of these serves a particular constituency, and can be designed according to their needs. And no, it wouldn’t be complicated, because most of us do our day to day trading in one place and would only need one or two. (And they could be cashless, so you wouldn’t need two wallets.) Besides, most of us already navigate seamlessly between multiple ways to pay for things – cash, credit cards, Paypal, loyalty card points, airmiles – and don’t seem to get confused. #Punkmoney may be unlikely to catch on, but diversity in the way we create and use money is here to stay. Oh dear, more use of the word ‘ought.’ I ought to have a pony too. Not sure about the yuan replacing the dollar as the global reserve currency. The reserve currency has to be something that the worlds trusts. When sterling was the global reserve currency the world trusted Britain to put the value of sterling front and centre. Same with the dollar and the US after 1945. Does the world trust China enough? Not saying it won’t in the future, certainly if the Americans do something stupid it will give a push but otherwise the dollar isn’t going anywhere. I expect to see both yuan and dollar as reserve currencies for the next 50-100 years. The trouble with the little local currencies is that they are hard to trade. That is their point since they are a local protectionist measure but like all protectionism they are actually grit in the wheels of commerce and slow economic activity overall. I haven’t found anywhere I’d want to spend my money that takes the Bristol pound so I’d refuse it. Nothing wrong with competition, but I think network effects mean that the current situation of national currency and reserve currency will remain the dominant framework. I think it’d be better to have a global reserve currency that didn’t belong to any nation and was created purely for this purpose – then no nation would be given an economic advantage by having their currency as the global reserve. As for local currencies, of course they’re only going to be effective if all or most of the traders in the community accept it. It’s not a proper currency otherwise. What, you don’t have a pony already? I’m surprised that you point out the ‘ought’ here, as what I’m opposing is fiat money and government monopoly over money. I’m talking about a more open market, where consumers and business can draw on different currencies according to what they value and trust. Read my last paragraph again. Consider the term ‘network effect.’ Consider the shear size of the Treasury and FX markets. Free markets will often settel on one or two standards. If you were made world dictator and forced every country to remove restrictions on the holding or use of their currencies then you would probably see a reduction in the currencies used, not increase. You seem to be proposing some kind of supra-national government to run an international reserve currency. Might be simpler just to suggest we return to the Gold Standard. You also seem to be proposing this for developing countries. Which means they could not restrict capital inflows or outflows as they wouldn’t control the currency in their own country. You might want to consider those implications. Wow, once again you’ve added a whole raft of things in your head that aren’t there in the post. Where did I suggest a supra-national government? Or that I would force countries to remove restrictions? Why don’t you engage with what I actually write for a change? An international currency could be administered in many different ways with no international government. Keynes proposed an International Clearing Union for his Bancor currency. You could do it through an institution like the World Bank or the WTO. China haven’t offered any model for how they’d like their international currency to work, but I don’t suppose they’re asking for an international government. You’re also talking about the FX markets, and sure, they can settle on whatever they want. But there is no such thing as ‘the market’. There are infinite numbers of markets, and my point is that different currencies will serve different ones. When you say I am proposing ‘this’ in developing countries, I don’t think you have any idea what I am proposing. I certainly have no idea what you mean by ‘this’. I don’t know if you noticed but a reserve currency needs a central bank to administer it. Thus a global reserve currency needs some kind of supra national organisation to run it. Could call it government since it would need power. The European Union could be called a government of Europe, I just follow the logic of your arguments. Now if your arguments have no logic…. The ‘this’ I was referring to was “a more open market, where consumers and business can draw on different currencies according to what they value and trust.” That would imply an absence of currency controls. Since you referred to the East African Shilling I presumed that your article was applicable to developing countries. I thought my use of plural ‘markets’ showed I didn’t say there was only one market. So hit that strawman if you like. Of course you’d need an authority of some kind to manage an international currency, but that’s a bank, not a government. There is no mechanism to make nations join an international currency, nor should there be. It could only ever be an opt-in thing. If you value a system that doesn’t endlessly privilege the US, as China does, this is worth exploring. And if we don’t play ball, by the way, China will simply ensure that the next global currency is theirs. Absence of currency controls – why would you assume that? Governments would be free to handle their national currencies any way they like, same as they do now. It’s just that government’s pet currencies would have more competition – that’s a good thing in your book, right? The fact is, government monopoly over currency has been going on for hundreds of years, but it never was a good idea. You have a strange paranoia of the word ‘ought’. I think our electoral system ought to be more representative if we’re going to call ourselves a democracy, and that we ought not to torture people – presumably I haven’t thought these things through either. I happen to believe that governments ought not to give themselves exclusive power over the money supply. If a government gives away their monopoly over the money supply, they must do away with currency controls. To have competing currencies you must be able to freely convert between them, or you don’t have competition. That precludes currency controls. Imagine Argentina allows Totnes Pounds to be used freely alongside the Peso. While I can’t take Pesos out of Argentina or freely exchange them for dollars, all I have to do is then convert them to Totnes pounds and I can then freely convert those to dollars. So the Peso crumbles away as everyone uses the currency the government can’t devalue. Good free competition but the result is Argentina has no currency controls. How would a country maintain currency controls with several competing currencies it did not control? That is the logic. Which is why I say you haven’t thought this through. “Imagine Argentina allows Totnes Pounds to be used freely alongside the Peso”? Wow. You haven’t understood this at all. The whole point of the Totnes pound is that it’s only used in Totnes. Irrelevant to Argentina. Have you ever read anything about complementary currencies? I was being facetious in my choice of alternative currency but I see you have no answer to my main point. Replace Totnes pounds with US Dollars and reply. No, your insistence on this proves you’ve not understood it. Argentina is at liberty to do whatever it wants with the peso. There’s no reason for it to accept the Yen or the Euro, and my suggestion doesn’t require them to. This is about different currencies operating at different levels of trade, and the dollar, Yen or Euro would rarely be relevant or necessary. Incidentally, if you’ve ever traveled in Africa you’ll know that many developing country currencies are already undermined by a thriving black market for dollars. That’s because many businesses refuse to be paid in legal tender, which they believe is mismanaged and hard to move. So this happens already, just illegally. Governments give themselves a monopoly, and people have to stick with a dodgy currency at the risk of losing everything, or break the law to protect their wealth. Better to have a pan-African currency and regional alternatives to keep everyone honest. You say “what I’m opposing is fiat money and government monopoly over money” then say that “Argentina is at liberty to do whatever it wants with the peso” and they don’t have to accept the Yen or the Euro. How is that not a government monopoly? I don’t understand your point because you keep making directly contradictory comments. I’m well aware of the black market for dollars in Africa. Zimbabwe of course has given up the fight and adopted it wholesale. I rather thought your idea was inspired by the illegal currency competition in Africa. You advocate one thing for Africa but another for LATAM. Illogical. Pan national currencies require freedom of movement of capital inside that currency area or they don’t work. Cyprus was allowed temporary controls by the Euro but only because it is a very small country and the ECB had a veto. Now if a teacher says “I’ve explained it but the children just don’t understand, They must be stupid,” would you think the children are at fault or the teacher? So enlighten me, how would a country with several competing currencies (including regional or global currencies) in circulation impose capital controls if it felt they were required? (Let’s not even go into interest rates). How does the UK function with the pound, the Euro (which you can use in many places in London) and the host of small local currencies? You’re fixating on national currencies and assuming that greater competition means a free-for-all on national currency. I skirted over national currencies in the post because I presumed that most people reading the article would know that complementary currency doesn’t mean diverse national currencies within a single national economy. It means alternative currencies above and below the national level. Obviously I was wrong to assume any prior knowledge about complementary currency, but that’s your problem, not mine. I’m not going to write a basic introduction to the idea every single time I mention it. If you want to keep arguing with me, do me a favour and read a bit about complementary currencies before you come back here and tell me I don’t know anything. Now you’ve gone patronising to avoid answering my question. I’ve asked a simple question three times and each time you have avoided answering it, so clearly you don’t know the answer. I’ll leave it at that. I haven’t dodged the question, I’ve told you three times that it is irrelevant. Let me spell it out to you. Your question is premised on the understanding that under my proposal, all global currencies would be in play in every country – imagine dollars, Euro or the Yen washing around in an economy. Yes? That’s a very bad idea. As you say, it would play havoc with monetary policy and undermine the national currency to the point of wrecking it. And you don’t have to resort to the dark arts of monetary policy to demonstrate how nonsensical that idea would be: if every currency in the world was legal tender, a shop would need a cash drawer large enough to give change in hundreds of different denominations. So yes, I agree with you entirely that having Euros, Yen and Dollars at large in an economy and beyond the control of government would be pointless, foolish and dangerous. Which is why I am not proposing any such thing. So what did you mean by “what I’m opposing is fiat money and government monopoly over money. I’m talking about a more open market, where consumers and business can draw on different currencies according to what they value and trust.”? Now my betting is that you thought that would be a good way to cut me off from the right (how could I not agree with more freedom? ), but the implications of that comment contradict a lot of what you have been saying. It is that illogicality that I have been pointing out. Don’t try to be too smart. It doesn’t suit you. Yes, competition from more democratically created alternative forms of money, not competition from other governments’ money. What would be the advantage of that? I’m not trying to ambush you from the right, i’m just surprised to find you arguing for government monopoly in control of money. I’m not arguing one way or another. I’m questioning a contradiction in YOUR argument. That comment I quote makes little sense linked to your article. You say you oppose Fiat money but the article supports the creation of new fiat monies (regional currencies) and complementary currencies which are directly backed by fiat money. You say you oppose government monopoly of money but complementary currencies are directly linked to the national currency so other than limits on who will accept them they are identical to the national currency so not in competition to it. I am trying to find how you square the circle between the policy you advocate (regional currencies, complementary currencies but single legal tender in ever country) and your announced goals (an end to fiat money, and currency competition). So far you just flip between the too, not seeing the contradiction. There’s no contradiction here – regional currencies don’t have to be fiat money and complementary currencies take all sorts of forms. The simplest ones like the Totnes pound rely completely on the national currency and are essentially local voucher schemes, but that’s not true of all of them. Others are linked to the cost of goods or to an hour of time. Probably the most successful is the asset backed WIR Franc, used between businesses in Switzerland. Community generated money cannot be fiat money – only a government can do that, since they make the laws. Yes, most countries will continue to have a single national currency, but the point of having alternatives is that you would have a choice about whether you use it or not. You may wish not to for a large part of your everyday business, though you’d probably still have to pay your taxes in the national currency. Incidentally, you’re jumping a step further than I am. I’m not after ‘an end to fiat money’ as you’ve said there. I’m talking about diversifying around it to weaken government monopoly and create a more resilient money system – if that central currency goes down, you can get by on other things. I think I’ve made that perfectly clear, and you’re trying very hard to find things to object to. So no, there’s no contradiction here, and I don’t really know why you want to keep on arguing about it. If you don’t like the idea, stick to the pound and don’t worry about it. Nobody is going to make you use an alternative – that would defeat the whole point. I am only quoting you. You said what you are “opposing is fiat money.” Does that mean an end to fiat money? You tell me. The trouble with the term fiat money is that its original meaning is money unbacked by something like gold but is now used by non economists to mean government printed money. Your use has been quite loose so hard to determine exactly what you meant. “what I’m opposing is fiat money and government monopoly over money” – yep, I’m happy with that. If I thought national currencies needed to be overthrown entirely (a far more radical position than mine) I’d have said so in the post, don’t you think? Yes, fiat money is a loose term. I’m using it as shorthand for money that only has value because government says it does. Interestingly, I’m reading Johnathan Porritt’s new book ‘The world we made’ at the moment, and today I read the short chapter on money in 2050. He imagines a three tiered system with local currencies, national currencies and an international business one called UNICS which is linked to a financial transaction tax. So I’m not alone in this. Not sure being in the company of Jonathan Porritt is a good thing. He got his degree in economics where? That’s the book I happen to be reading right now. If you want an economist, look up Bernard Lietaer.